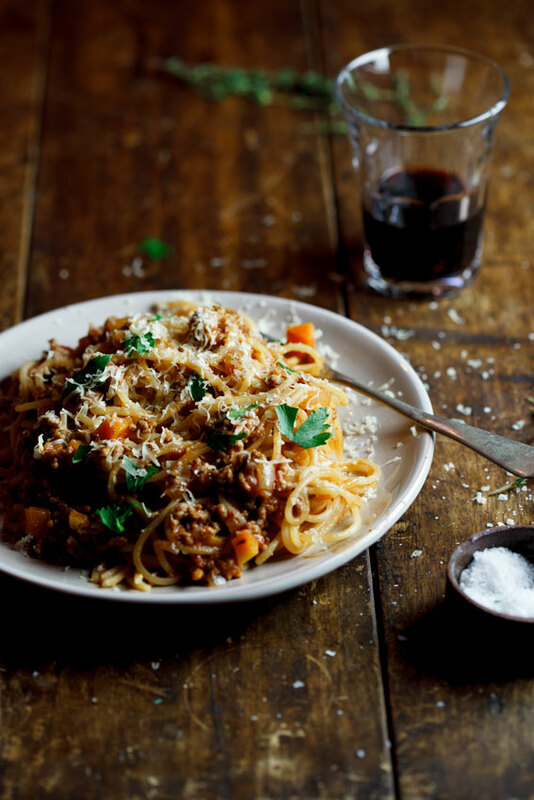 A delicious easy spaghetti bolognese recipe is a family classic and requires minimal effort for maximum reward. Serve with garlic bread and crunchy salad for the ultimate weeknight meal. If you have kids, Spaghetti Bolognese is probably firmly lodged in your recipe repertoire along with mac & cheese and chicken nuggets. I, myself, cook it more often than I’d like to admit because I know my kids will gobble up an entire bowl without fighting and I get to cram it full with assorted vegetables. In my first book, Simple & Delicious, I have a recipe for Spaghetti Bolognese with loads of hidden veg which is just perfect for fussy eaters. Luckily, my kids are eager vegetable eaters so I don’t have to hide it too much. 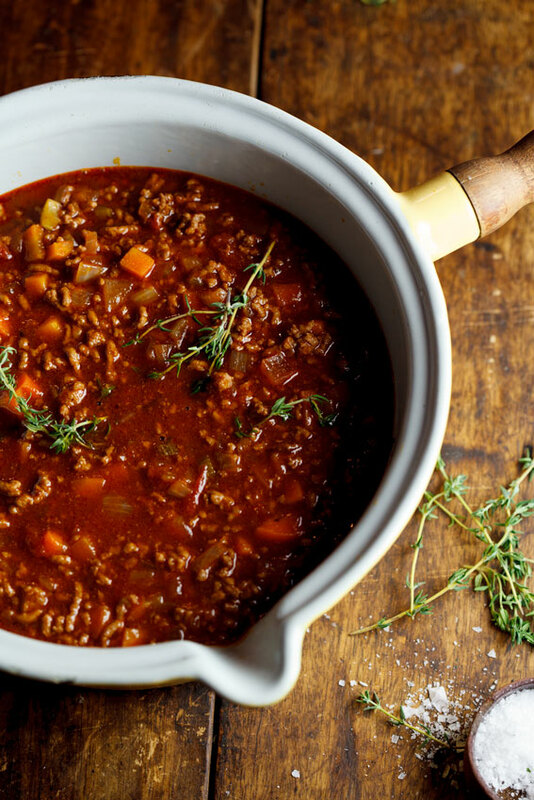 I wanted to keep this Bolognese sauce recipe really simple and easy and have just a few ingredients lending their flavours to this family staple. I started with a simple soffrito/mirepoix consisting of carrot, onion and celery which adds real depth of flavour to the finished sauce. I also browned the beef because I think that it adds real meatiness. You could of course just add the mince to the soffrito once it’s cooked but I just don’t think it does as much to the finished dish. In Quesidillas with mozzerella and fresh chopped coriander. On Nachos served with corn salsa and guacamole. 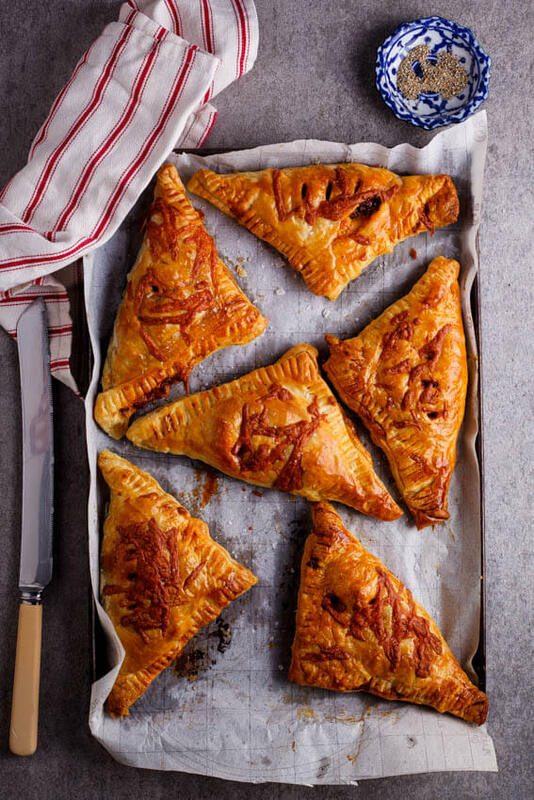 Wrapped in pastry with mature cheddar for the ultimate Cheesy Bolognese Pies. On toast topped with a sunny-side-up egg. 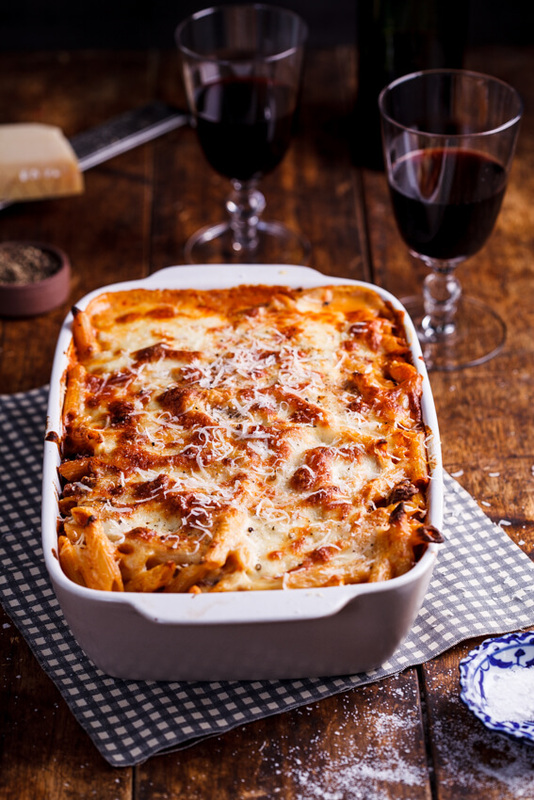 In Lasagna or a delicious Bolognese Pasta Bake. Brown the beef in a large pot in batched until well browned. Remove from the pot and set aside. In the same pot, add a splash of oil and fry the onion, carrot and celery for 10-15 minutes until soft and fragrant. Add the garlic, bay leaf, thyme and rosemary and fry for another minute. Add the beef back to the pot and add the tomatoes and beef stock. Lower the heat so the sauce simmers and cover. Allow to cook for 30 minutes. 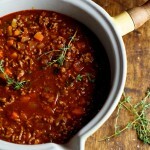 If the sauce is too watery, remove the lid for the last 10 minutes of simmering so the liquid can reduce. In the meantime, cook the pasta in a big pot of boiling salted water. 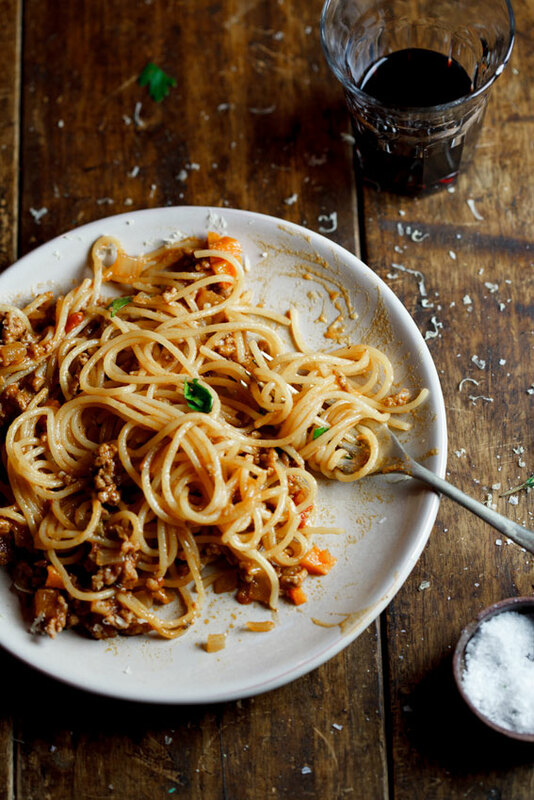 Serve the bolognese with the cooked spaghetti and a generous grating of Parmesan. Perfect, easy recipe. So delicious. As advised by my Italian cab driver in Taormina, Sicily: when spaghetti is about two minutes undercooked, add it to the sauce to finish cooking so it can absorb some of the saucy flavor. Add a half-ladle of pasta cooking water at a time to loosen the sauce if it becomes too tight. 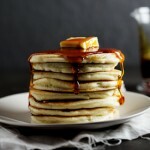 So simple yet so delicious! Love this! !